Tank Style Dresses run very true to size. The tanks are ribbed so they will stretch or conform to the shape of your child. 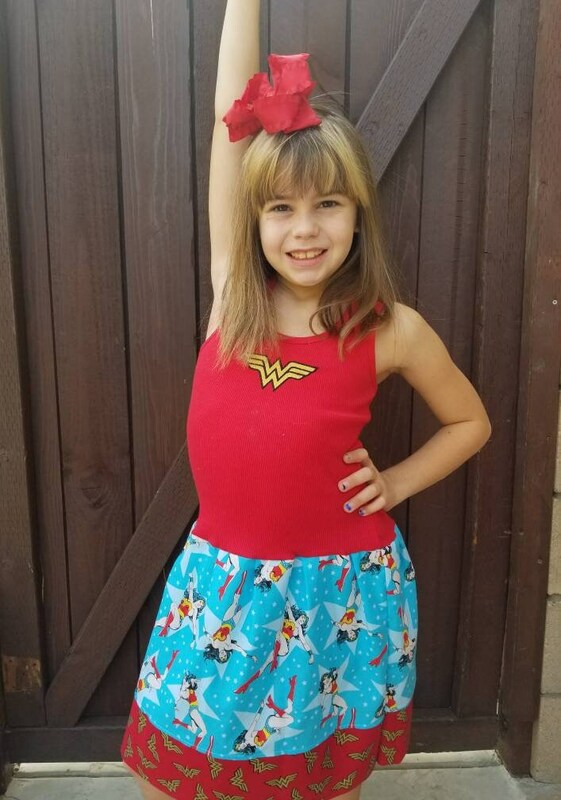 We can make this dress in any size. Just state details in the notes at checkout. 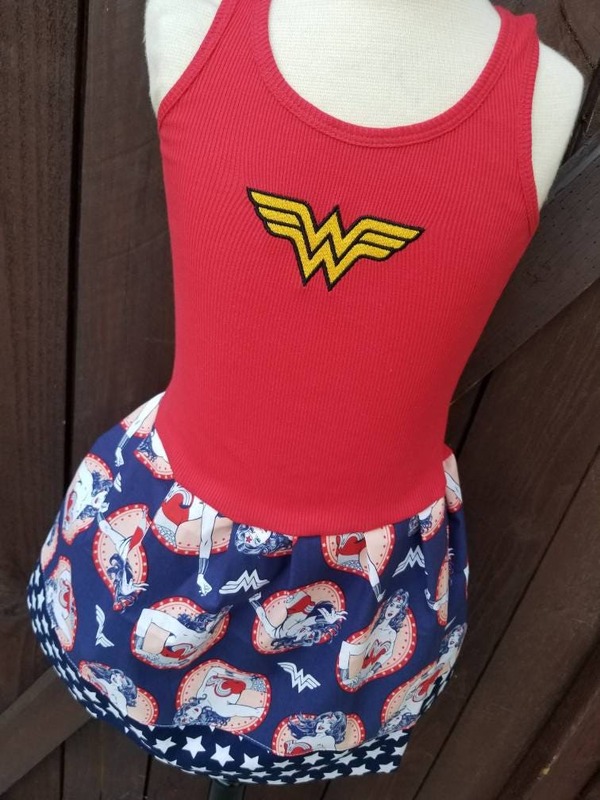 This dress comes with WW logo only. Dress with number is sold separately. Amazing quality and love the dress. 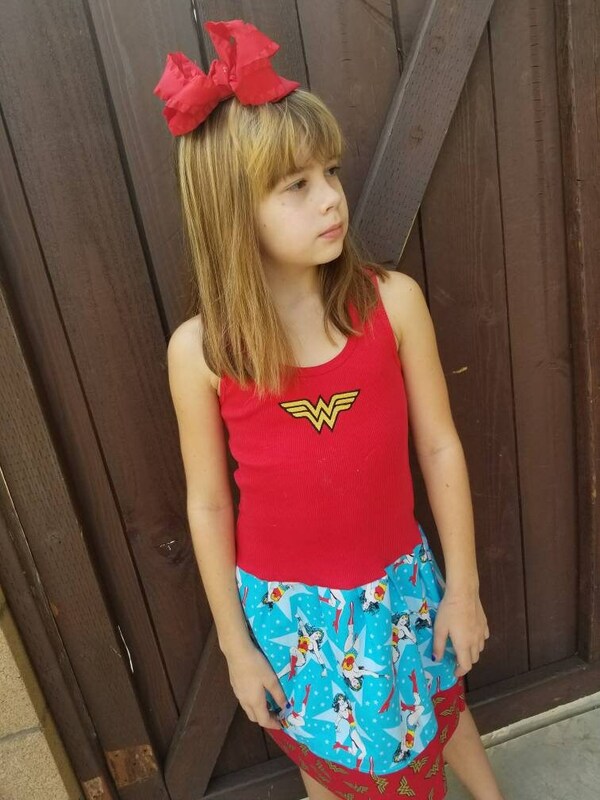 Perfect for my daughters Wonder Woman party! !